What is Aki Matsuri (Fall Festival)? The New Mexico Japanese-American Citizens League (NMJACL) has been hosting Aki Matsuri (trans. : fall festival) for over twenty years. The festival is the main annual event for NMJACL and serves as a venue to share Japanese and Japanese-American (JA) culture with all of New Mexico. Proceeds from the festival benefit NMJACL’s ongoing efforts to document events and history related to Japanese-American internment in New Mexico and the southwest, as well as funds for construction of a cultural center. The festival attracts guests and performers from around the state and beyond, showcasing traditional Japanese, dance, song, and musical performances, martial arts, arts and crafts, Japanese food, and more. 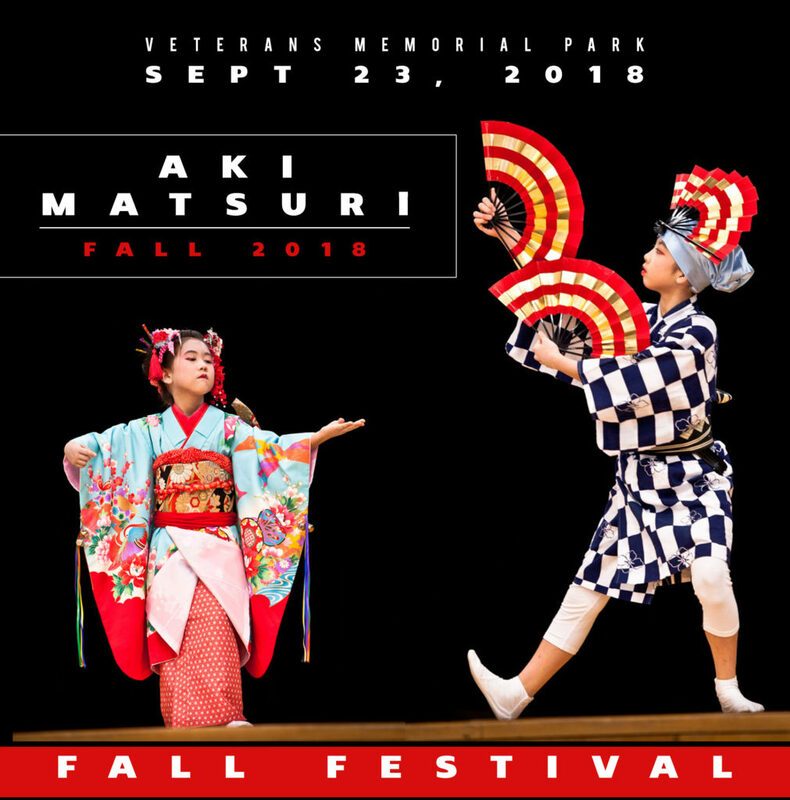 We've found a beautiful new location to host the 2018 AKI MATSURI FALL FESTIVAL on Sunday, September 23rd 2018. Whether you're looking to volunteer, perform or want to feature your local business, product or artwork, we've got an option for you. Tables and chairs will be reserved specifically for your “By Invitation Only” special guests. Covered space with one 8-ft table and two folding chairs. Additional tables/chairs are made available on a fee basis. The program measures 8.5" x 11" in size with colored outer covers and black and white inner pages. NMJACL is always in need of helpful volunteers for our annual Japanese Fall Festival. If you or your organization is interested in volunteering please fill out volunteer form and we'll get back to you shortly.